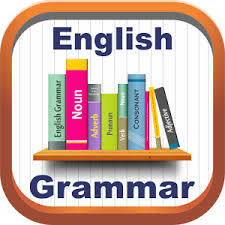 Grammar - using conjuntions in English when speaking. We can join two sentences or clauses together using conjunctions (or linking words). We can use conjunctions to add ideas together, contrast them, show the order that things happened in or show the reason why things happened. I’m missing my mum’s cooking and I don’t know how to cook the way she does. They like tea and coffee. As well as not having a job, Michal is running out of money. Alice looks after patients at work, as well as looking after Michal in the flat. In addition to offering loans, we can give you advice about other financial services. There is a heated indoor swimming pool in addition to to three outdoor pools in the hotel. I’m trying to give up fast food but it’s just so easy and cheap. Alice was trying to help Michal but Helen didn’t understand. Although he’s trying to be more healthy, he finds it easier to eat fast food. Tim is going to work in the stockroom although he doesn’t really want to. The flight has been delayed, however , the airline will offer compensation to all passengers. We received your cheque. However, you failed to sign it. Please do so immediately. While Alice and Michal were hugging, Helen came in. Tim was serving a customer while his manager was waiting to speak to him. Before Michal could explain, Helen started shouting at him. Michal began to cry before he had even finished talking to Alice. After New Year, some of the flatmates kept their resolutions. They went to the cinema and after that, they walked home. During the President’s speech everyone has to listen carefully. Will you put the kettle on for tea during the adverts? He’s beginning to run out of money so he can’t afford better food. She’s joined the gym so she can get fit. He can’t afford better food because he’s beginning to run out of money. Tim is going to work in the stockroom because he wants to get an interview. Because of heavy snow, this train is running approximately 15 minutes late. There are long delays on the M11 because of an accident at junction 32.